Hello Crafty Friends and Happy Monday! We are entering December in a flash! 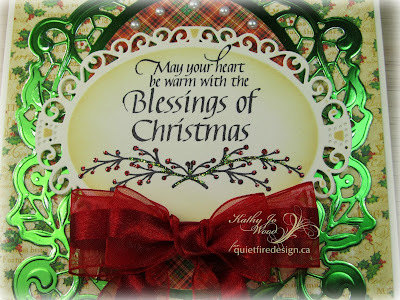 If you are looking for Christmas ideas, you have come to the right blog as Quietfire Creations is full of crafty inspirations for all. 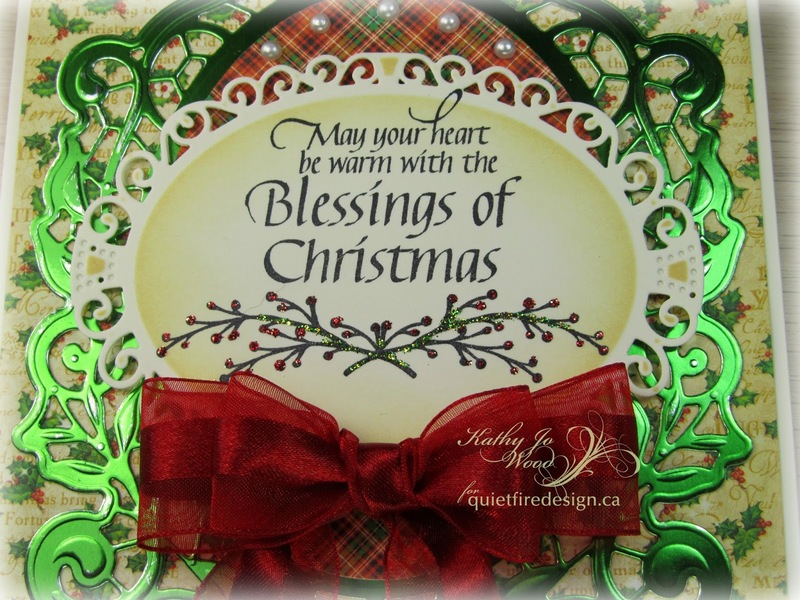 The Quietfire Design stamp is the focal point of the card front- and rightfully so as it is gorgeous! Create top fold card using ivory card stock. Cut patterned paper smaller than card front. Apply Distress ink in Antique Linen along edges. Mount to card front. 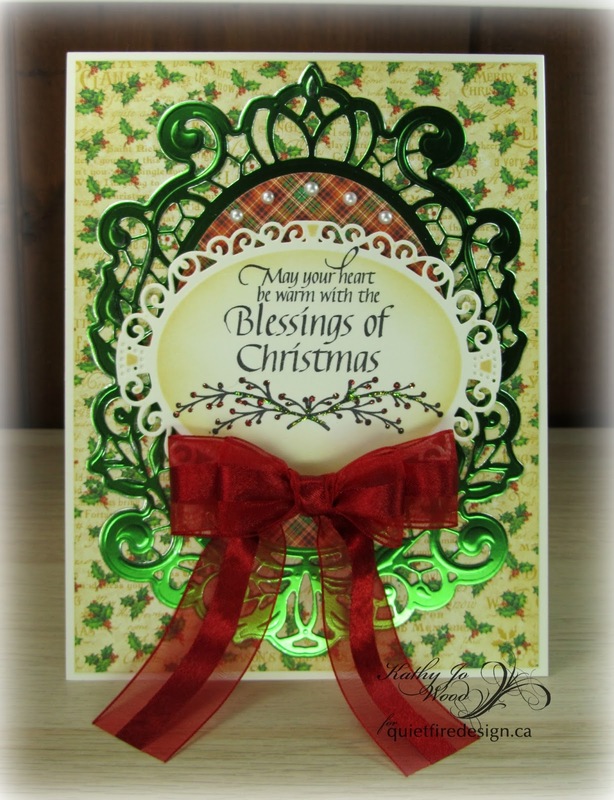 Die cut metallic paper using Spellbinders die. Mount to front. Die cut plaid paper and mount to metallic paper. Stamp sentiment onto ivory card stock using black archival ink. Die cut using Spellbinders die. Emboss. Keep die cut in die and apply Antique Linen around die cut. Remove from die. Mount to card front using double sided foam adhesive. 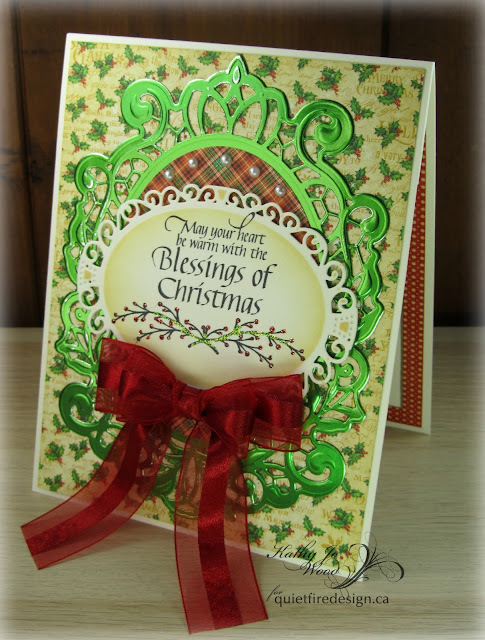 Create double bow and adhere to card front using liquid adhesive. A heartwarming sentiment to be used for someone special on your Christmas card list! Thank you for stopping by! I do hope you enjoyed the card.